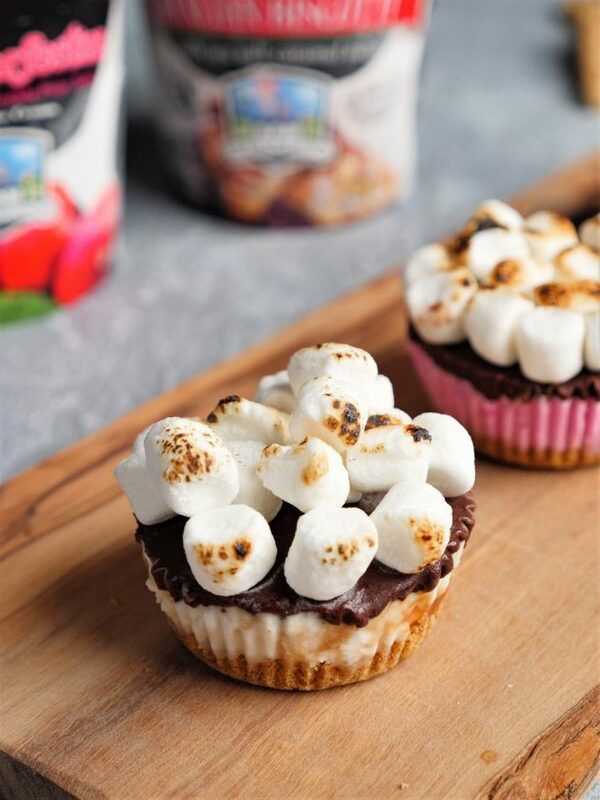 Ice Cream S’mores Cupcakes are the perfect frozen treats for any party or get-together. Make them in advance for a dessert the entire family will love with only 6 ingredients. Plus, video tutorial! What is fall without s’mores and ice cream? Here we’ve combined the two for the perfect make-ahead fall dessert using San Bernardo Ice Cream. 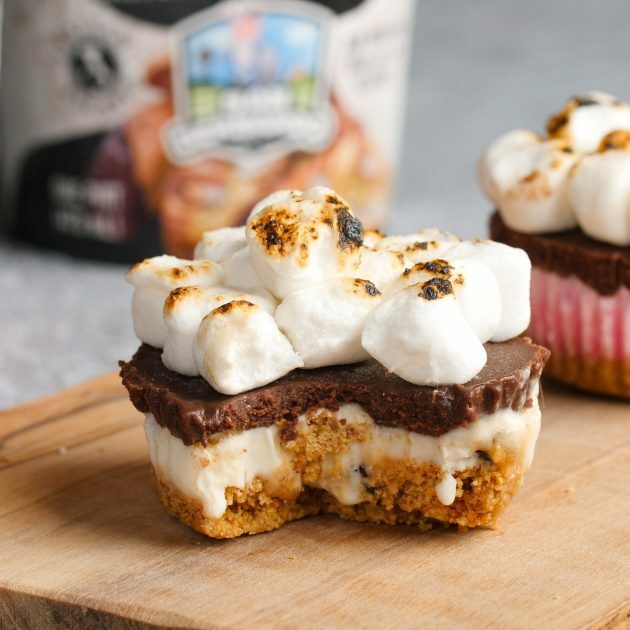 These ice cream s’mores cupcakes give you all those mouthwatering campfire flavors. 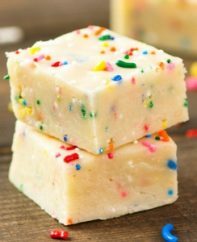 They’re fabulous for a festive celebration, not to mention holiday parties and days where you’re just craving something sweet. 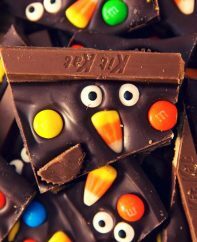 Kids and adults alike love them. 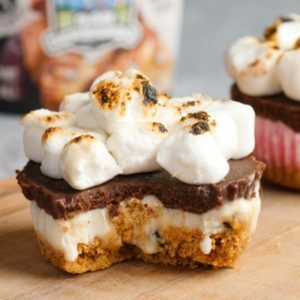 They have 4 mouthwatering layers of graham crackers, ice cream, chocolate and marshmallows. You can make the traditional s’mores combo with vanilla or try fun flavors like Cactus Pear and Biscotti! 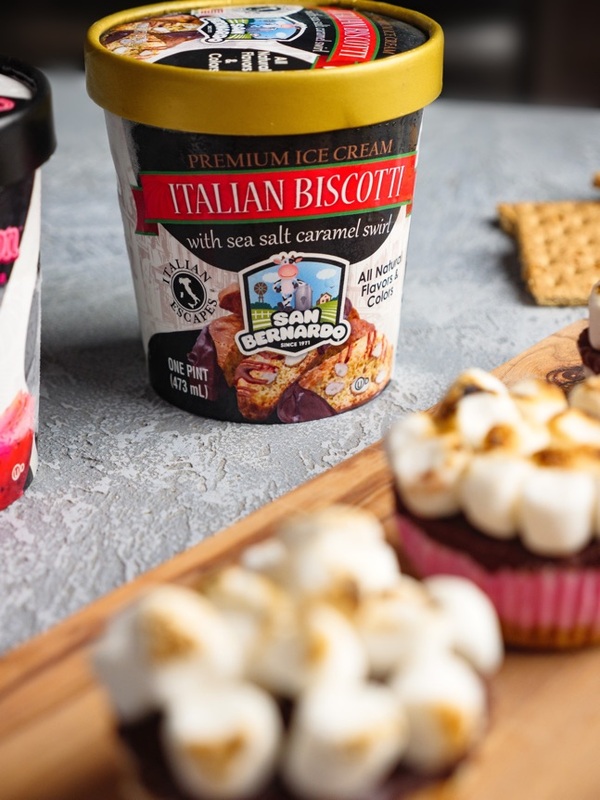 San Bernardo is an ice cream company in Florida with delicious specialty flavors like Biscotti, Cactus Pearfection, and Sea Salt Caramel, along with classics like Vanilla and Quad Chocolate. 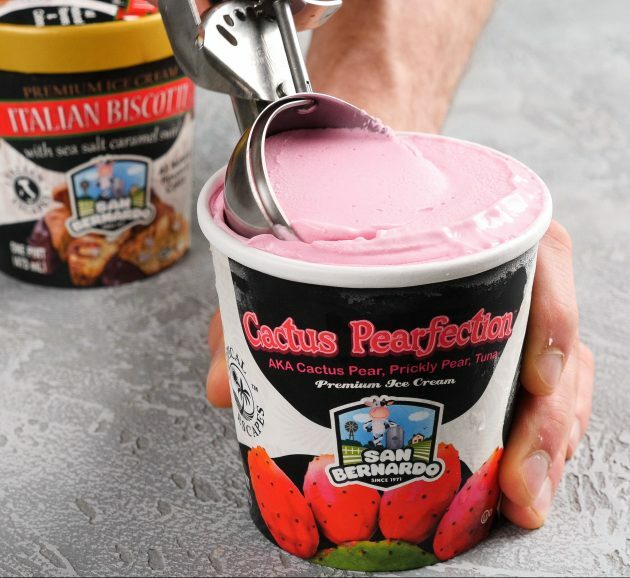 Not only does San Bernardo stand out because of all their unique creamy flavors, but also the fact that their ice cream contains 20% Less Sugar & Fat, is all rBST Free, and uses only All-Natural Ingredients. Feel better about indulging with San Bernardo compared to other brands. You buy San Bernardo on their website, and the ice cream arrives on your doorstep days later packed in dry ice. No more worrying about it melting on the way home from the supermarket! The bottom layer consists of graham crackers and butter. The second layer is your favorite flavor of ice cream – we used Vanilla, Biscotti and Cactus Pear. The third layer is chocolate and cream, and finally everything is topped with marshmallows. Remove the ice cream from the freezer 20 minutes before use, so it can soften to a spreadable consistency. 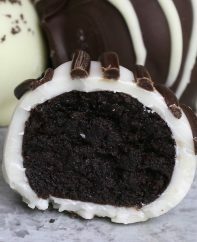 Use foil or white paper cupcake cups for a crisp look, and make sure they fit comfortably into your cupcake pan. After spreading the ice cream, return to the freezer to harden before adding the melted chocolate. Freeze one last time to harden again before adding the marshmallows. 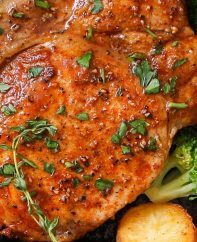 Then you can easily broil them for a few minutes to brown. You can make these ice cream s’mores cupcakes up to one month ahead of time. 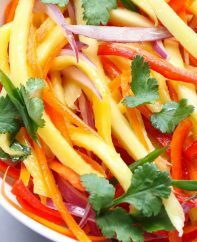 Just store them in a large airtight container or zip top bag in the freezer. Important: About 20 minutes before serving, remove the cupcakes from the freezer, so they can soften slightly. 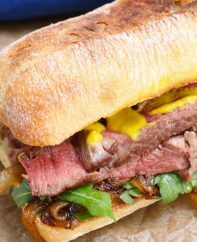 The flavors will improve, and it’ll make for easier cutting. Remove ice cream from freezer 20 minutes ahead of time to soften. 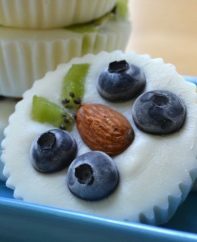 Line a 12-cup muffin pan with paper cupcake cups and set aside. In a medium bowl, mix graham cracker crumbs and melted butter until it has the consistency of wet sand. Spoon about 2 tbsp of graham cracker mixture into each cup. Press firmly with your thumbs or a spoon to form a bottom crust. Place one medium scoop of softened ice cream onto graham cracker crust to fill up 1/2 inch from the tops of the paper cups. Spread with a spatula until flat. Repeat for remaining cups and then place in the freezer to solidify. Heat the heavy cream until boiling. 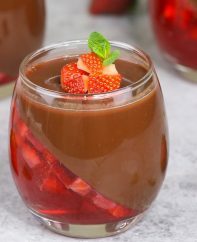 In a medium bowl, add the chocolate and hot cream, whisking until smooth. Cool slightly. Remove muffin pan from freezer, and spoon 2 tbsp of chocolate on top of each cup, spreading evenly out to the edges. Freeze for at least one hour or until solid. Add one layer of mini-marshmallows on top of each cupcake to cover completely. Brown the marshmallows either with a torch or under the broiler for 1-2 minutes. Serve and enjoy! 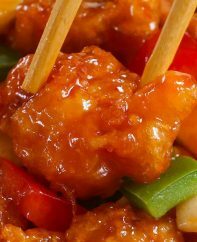 - Remove from the freezer 15-20 minutes before serving to achieve a softer texture that’s easier to cut. I absolutely love this combination. Ice cream and smores are 2 of my favorite things. So good! This ice cream smores recipe is just as scrumptious as it looks! It’s exactly what we needed in our lives last night. Yum! So glad you enjoyed it Denay! I love all your recipes I have seen so far! Thanks.